A master violinist trained in Vienna, Rebekah Carrington manages to wheedle her way into an audition with the maestro at the newly formed Nashville Philharmonic. But women are "far too fragile and frail" for the rigors of an orchestra, and Rebekah's hopes are swiftly dashed. Because the conductor - determined to leave his mark on the world of classical music - bows to public opinion. To make matters worse, Adelicia Acklen Cheatham, mistress of Belmont Mansion and Rebekah's new employer, agrees with him. Nationally acclaimed conductor Nathaniel Tate Whitcomb is Nashville's new orchestra leader. And despite a reluctant muse - and a strange buzzing and recurring pain in his head - he must finish composing his symphony before the grand opening of the city's new opera hall. Far more pressing, he must finish it for the one who first inspired his love of music - his father, who is dying. But Tate's ailment worsens. He knows Rebekah can help him finish his symphony. But how do you win back a woman's trust when you've robbed her of her dream? 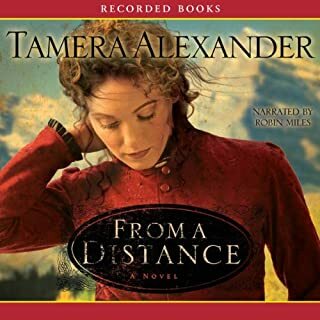 I just recently became acquainted with Tamera Alexander's writings. I've listened to several of them on Audible Books. Not ONE has been a disappointment. I highly recommend this author . I can't express how much I enjoyed this book.I would recommend it to all who are looking for a clean book. a story of a boy of humble roots in the mountains and rose to magnificent talent and fame...and a gal of extraordinay talent...how the two met and fell in love despite many problems before each individually. this is a clean christian book I don't think any christian could object to...how god truly looks out for and cares for each of his children who know him and love him. I loved the imagery this book elicited. Also, the depth of feeling was amazing. I loved this book! Excellent storyline, reading and character development. I wish her books would never end they are so good. This one especially so! I really liked how she wove characters from other books into this story as well. Well done. Looking forward to more. Best yet. Was sad for it to end. Bravo. 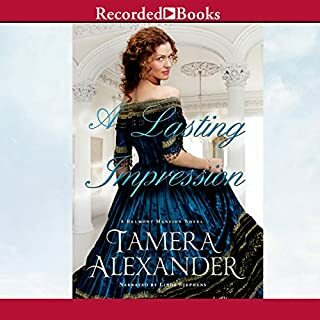 Thank you, Tamara Alexandra. Well done. I could not put the books down! The last book was even more harder to stop listening too. THE 3RD BOOK IS JUST AS AWESOME AT THE FIRST TWO!! I will listen to this series again and again. 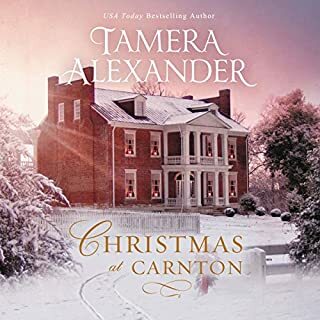 Awesome as usual for Tamera Alexander! carol this is a very helpful tiil. 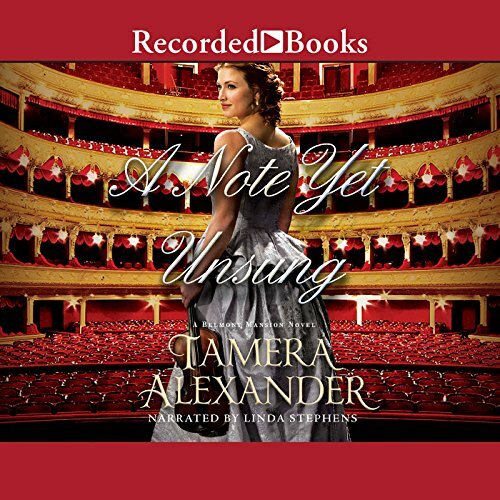 “Maestro” Tamera Alexander writes a beautiful symphony of words better with every listening and reading! “Maestro”Tamera Alexander should be her title from now on! Living near Belmont Mansion this book has become my favorite! I’ve listened to it 3 times and read it many more times. The many life lessons so well written we have yet to master as a society. God has truly blessed this author and I am honored to have read all her books❤️ the other 2 in this trilogy are very worthy of the time to read and listen to!! This is a good novel. It had twists in the story that I wasn't expecting and of course it had the inevitable romance. 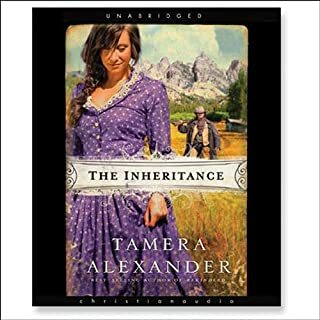 This book is the completion of the Belmont Series, another terrific story which still encompasses the lives of those we have come to know and love from the previous two books. New characters and plot lines create a brand new, spellbinding narrative. 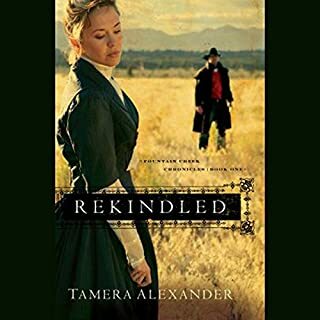 Loved that the settings and some of the people in previous stories of this series were intertwined in the new plot, and even some minor loose ends were dealt with too. Very much enjoyed this aspect. Have you listened to any of Linda Stephens’s other performances? How does this one compare? All of the Belmont series books are read by Linda who is a very competent and empathetic narrator. Very much enjoyed her performance. Certainly brought tears to my eyes, and also made me laugh at times. There were beautiful moments of real enjoyment and delight in the witty narrative. 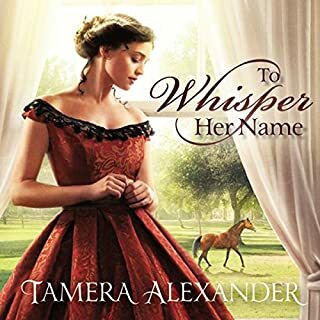 So sorry that this series has ended and will definitely be buying more of the Tamera Alexander books.